Find out what it took to produce 18 shows in 18 months. Topper presents the eccentric Sir Stuart Peabody and his colorful menagerie. Elaborate baroque entertainers mix and mingle with guests. Rock City dazzles with music and aerialists. It comes as no surprise that the entertainment on board Celebrity Cruises has garnered award-winning attention. Accolades include Best Cruise Line Entertainment from Global Traveler and the Gold Magellan Award for Entertainment from Travel Weekly. That’s because it has all been designed with modern luxury in mind, translating to A-list producers, writers, and entertainers forging bold new trends, producing shows, concerts, and happenings that amaze at every turn. Building on that premise, Celebrity Cruises sent waves through the industry in early 2015 with a bold new announcement: it would unveil 18 new shows in 18 months. Becky Thomson Foley, director of entertainment said the ambitious goal intended to bring Celebrity Cruises entertainment to the forefront of, not only the cruise line industry, but the entertainment industry as well. And with that Celebrity Cruises Productions began reshaping and reinventing cruise line entertainment one new event at a time. Eighteen months later, we caught up with the entertainment visionary to share the details of the project from her point of view. Spree: For the cruise guest who hasn’t heard of it yet, detail the highlights of what “18 shows in 18 months” is all about. Thomson Foley: Opening so many shows in such a short space of time is unprecedented within the cruise industry, and incredibly rare in the entertainment industry, for one company to spearhead. Not only are they new, but they are completely customized to accommodate our premium guests. It was an incredible challenge but one that we did to show our guests just how invested Celebrity is in our entertainment program. It also coincided with opening the industry’s largest entertainment rehearsal facility on the FIU campus in Miami, Florida—139,000 square feet—where the creativity, training, and magic all happen before we even get to the ships. 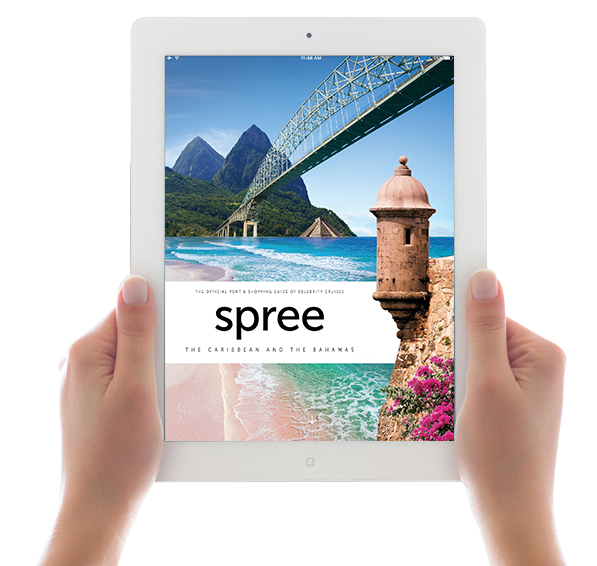 Spree: What was the inspiration behind such an ambitious initiative? Thomson Foley: After 26 years in the entertainment business, and much of that with the cruise industry, I have experienced an array of entertainment. However, after a while, it seemed that many of the shows had similar themes, style, choreography, vocals, and we believed that it was time to create something unique. That is why we chose to work with so many different creative teams, so that whatever show you saw on whatever Celebrity ship, wherever you were sailing in the world, it felt like a different experience. Spree: What was the reaction of cast/crew/leadership/support at the onset? Thomson Foley: Not only is opening 18 shows in such a short space of time a major financial undertaking, but it is a logistical challenge. Also, whenever there is a major change in any industry there is a sense of apprehension. It was when my fairly new and passionate team ran with and embraced this challenge with inspiration, determination, and drive—that was when I knew that we had something special. That same team traveled the globe to find, not only top quality performers, but individuals that had something very rare to offer—be it a certain speciality act, a vocalist with precise acting skills, or dancers that had the ability to perform the intricate and stylized choreography that we were creating. We then needed the technicians with the technical capability required, sound engineer, and lighting designers that would create a new look and sound for our shows that brought the productions to life. Scenic designers that built the elements were the icing on the cake of an already fantastic show. Costume designers that understood their drawings and designs not only had to come to fruition, but reflect the absolute spirit of every performer in every show. Spree: Any behind-the-scenes anecdotes that readers would enjoy? Thomson Foley: Absolutely! Opening a show called Chandelier and, the actual chandelier still had not arrived to the ship the day before opening. But, the show must go on. Spree: What are some of the most spectacular highlights to look out for in the Caribbean 2016-17 cruise season? Thomson Foley: You know, I truly believe that as amazing as our entertainment is in the theater, it should also be present and experienced throughout the ship. We have tripled our entertainment offerings in the past two years with live music, CelebrityLife Activities, destination enrichment, kids and teens activities, and pop-up entertainment experiences. And we will continue to do so for the coming year. A team that opens 18 shows in 18 months and tripled their entertainment in such a short space of time is not about to slow down now so, watch this space.